Tovah Feldshuh in Golda’s Balcony. For the past three decades, January in Palm Beach County has been synonymous with an international array of Jewish-themed movies. And beginning Sunday, the 29th annual Donald M. Ephraim Palm Beach Jewish Film Festival screens 33 such selections – many of them world, Florida or county premieres – at four venues over 21 days. This will also be the sixth such event for festival director Ellen Wedner, who relocated locally after running the Miami Jewish Film Festival. “I think over this time, I’ve come to understand better what this audience wants,” she says. “The interesting thing is that’s not always the same throughout the county. When I’m programming morning films at Cinemark in Boynton Beach, say, I’m very cognizant that a certain kind of film would be more appropriate for there and for that time of day. 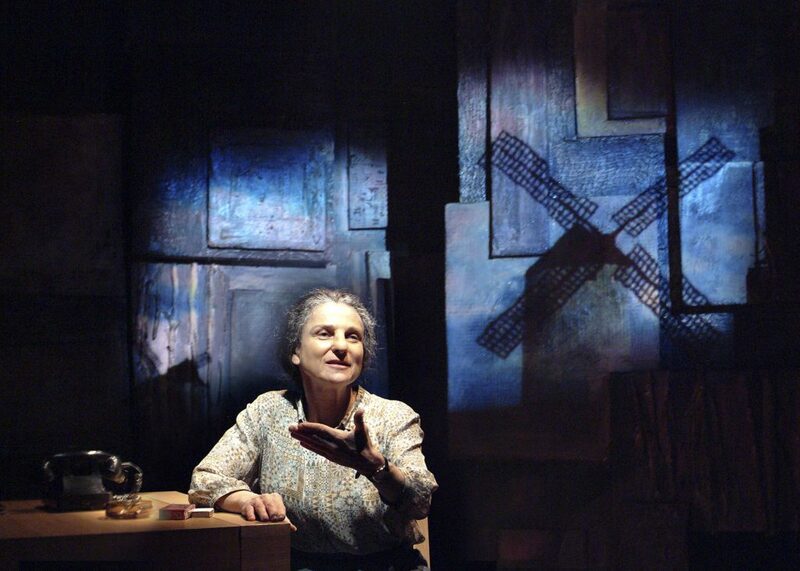 Wedner feels certain that this year’s festival will be the best yet, buoyed by a major coup – the world premiere of Golda’s Balcony, a new filmed version of the Broadway biographical play about Israeli Prime Minister Golda Meir – attended by its Tony Award-nominated star, Tovah Feldshuh. “When the producer of the film reached out to me, I was very, very excited,” recalls Wedner. “He sent it to me and I was blown away. It’s very inspiring and emotional. With a four-camera shoot, you are so close that you get the nuance of her performance. As usual, Wedner was particularly concerned over selecting opening and closing films, crucial choices which leave a lasting impression of the festival. But she feels certain she has found movies for those slots that will connect with the audience. Sunday at 2 p.m. at AMC CityPlace, the festival kicks off with the Southeast premiere of Papa, inspired by the true story of an adopted son searching for his biological parents. David Proval and Robert Scott Wilson in Papa. “‘Papa’ was a very easy choice. In Jewish film, you don’t often get a film with multiple big stars. This is a real ensemble. That intrigued me,” notes Wedner. The adoptive parents are played by Daryl Hannah and Frankie Avalon, with Paul Sorvino, Ann-Margret, Michael Madsen, Eric Roberts and Mischa Barton in support. For the closing matinee, the festival is thrilled to have acquired Prosecuting Evil: The Extraordinary World of Ben Ferencz, a documentary of a remarkable lawyer whose career highlights include being on the prosecution team at the Nuremberg trials and, later, agitating for the creation of the United Nation’s International Court of Justice. Prosecuting Evil is the closing first-run film, but there are two days of the festival after it. These are reserved for encore presentations – two a day at the AMC CityPlace – of some of the more popular festival selections that sold out their initial showings quickly. This year they are Henri Dauman: Looking Up, about a Holocaust survivor who became one of the 20th century’s preeminent photographers, and Stockholm, a feature film on the death of a renowned economist and his friends who try to keep his demise secret, both on the afternoon of Feb. 11. On the 12th, the actual final day of the festival, the encore screenings are Above the Drowning Sea, a documentary on the Chinese consul in Vienna who defied the Gestapo to issue visas to European Jews on the eve of World War II, and Redemption, about a rock singer who struggles between his religious beliefs and his love of music. A still from Kirk Douglas, The Untameable. Two of the most popular films from last year’s festival were biographies of Hollywood icons Hedy Lamarr and Sammy Davis, Jr. So while Wedner doesn’t usually seek out films with specific themes – preferring to select simply the best films she can find – she concedes that this year she went in search of more show business biopics. 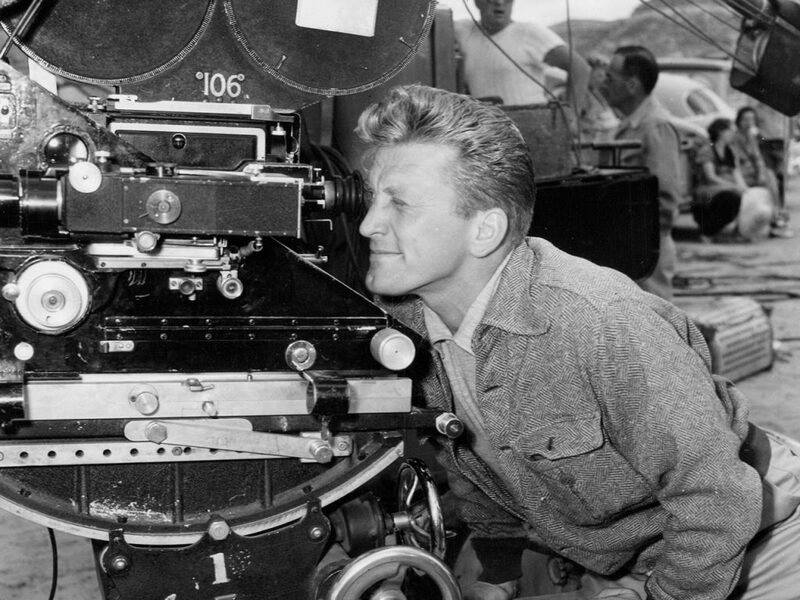 And she found them: Kirk Douglas, The Untameable, about one of the last living legends of Hollywood’s Golden Age, and Sam Spiegel: Conquering Hollywood, about one of the most enigmatic and controversial producers in the annals of film. “Kirk is 102 years old and we have a very touching documentary about him,” says Wedner. “And Sam Spiegel, a survivor and a refugee of the Nazis, is the only producer with sole producing credit on three Best Picture Oscar winners” – On the Waterfront, The Bridge on the River Kwai and Lawrence of Arabia. In an effort to feature variety, the Palm Beach Jewish Film Festival will screen Holocaust tales such as Murer: Anatomy of a Trial, about bringing the Austrian former SS officer known as the “Butcher of Vilnius” to justice, as well as humorous documentaries like The Land of Milk and Funny, about American stand-up comics touring Israel and commenting on what they see. Perhaps the target audience for the Palm Beach Jewish Film Festival is an older demographic, but an effort is made to include something for everybody. Why should film fans seek them out? “Because many of these films are never seen outside of Jewish film festivals. Not even on Netflix,” says Wedner. 29TH ANNUAL DONALD M. EPHRAIM PALM BEACH JEWISH FILM FESTIVAL, Sunday, Jan. 20-Tuesday, Feb. 12. Call (877) 318-0071 or visit www.palmbeachjewishfilm.org.